In aid of the Mayor’s charities: Friends in St Helier and Colour House Children’s Theatre. You are invited to help solve the murder in Case Noire. 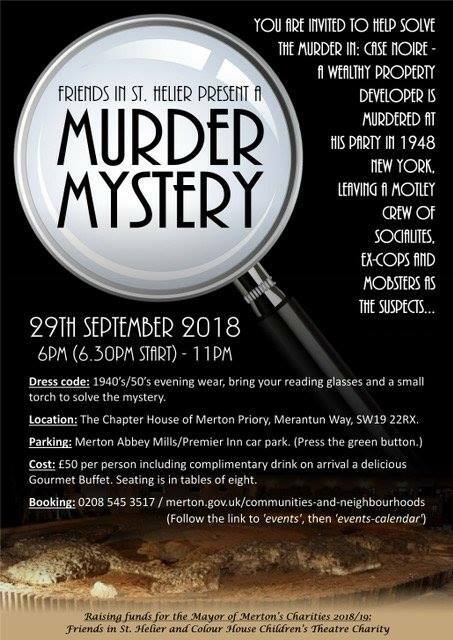 Dress Code: 1940’s/50’s evening wear, bring your reading glasses and a small torch to solve the mystery.